Social Media is an important part of gaining, strengthening, and retaining business. 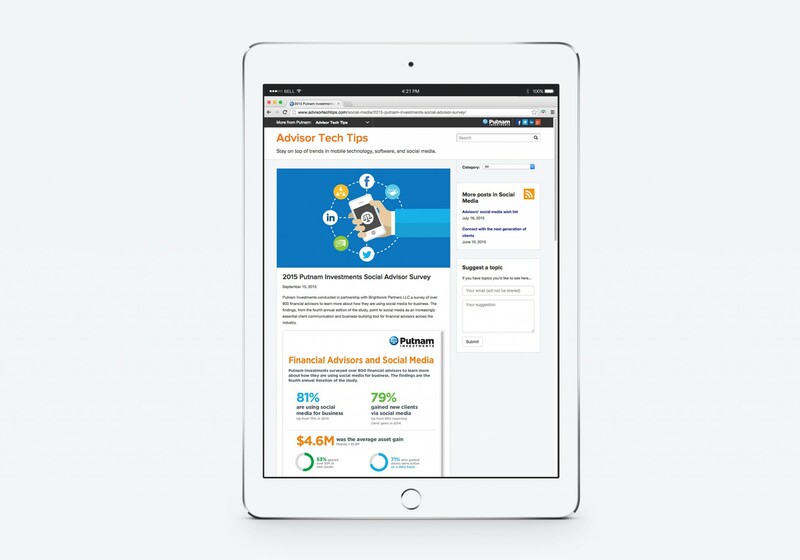 Putnam Investments strongly encourages their financial advisors to have a strong social presence online to connect with their clients by showing the results of their Social Media Survey. Working closely with the social media team, created an infographic to represent the data and results in an easily understandable way.